"This is the second time I've used this company this year. I had my crawlspace encapsulated this summer, and was extremely..."
This is the second time I've used this company this year. I had my crawlspace encapsulated this summer, and was extremely pleased will the work. This time was no exception. I didn't even bother getting other estimates this time for the installation of internal drains. Very pleased with the work this time around also. Would not hesitate to use these guys again! "Fantastic! Worked so hard and cleaned up everything." Fantastic! Worked so hard and cleaned up everything. "Your installation crew was terrific. On time, efficient and cleaned up. You wouldn't even know the extent of work done..."
Your installation crew was terrific. On time, efficient and cleaned up. You wouldn't even know the extent of work done everything was so clean. "Mike Jersey was thorough and very informative. Great advise." Mike Jersey was thorough and very informative. Great advise. "Jonathan Neira is Outstanding - his crew worked with speed and attention to detail"
"Everyone on the Quality 1st team was extremely helpful and accomodating during the entire process. Jonathan Neira (Foreman) and..."
Everyone on the Quality 1st team was extremely helpful and accomodating during the entire process. Jonathan Neira (Foreman) and his team did an excellent job repairing our foundation. Johnathan took the time to explain the repairs to me and answered any questions/concerns that I had. He and his team were wonderful! I would definitely recommend them to family and friends. "I also spoke to Jessica Long about installing one our your SaniDry basement humidifiers and she already inspected the basement,..."
I also spoke to Jessica Long about installing one our your SaniDry basement humidifiers and she already inspected the basement, took some pictures and is working on a quote. Thank you sooo much! The foreman and crew members you sent to our house were top shelf! Very professional, clean & courteous under storm weather conditions. The Quality 1st website was informative and caught our attention on a problem we have been having for five years. The team was careful and we are extremely happy with the work done. We will refer people to Quality 1st, thank you! We are so happy with our installation. I wanted to fix my basement for three years and a friend recommended Quality 1st Basement Systems to me. The installation team was excellent and I am very satisfied with my new sump pump investment. First came the phone call to 1st. The woman made an appointment and told me the name of the person who would be coming to provide me with an estimate and a recommendation. Then, a reminder phone call the day before.The representative was thoroughly professional, assessed the situation correctly and set a date for the repair to occur.The repair crew arrived on-time and finished up promptly. The foreman of the crew explained what has been done, and left the job in a workman-like manner - the worksite was cleaned up well.The fix worked. What more could one ask for? Very pleased with the work done in our basement. I am very satisfied with the work installed by Quality 1st Basement Systems. I had been getting water in my basement during heavy rains for a year before I decided to call Quality 1st. I did my research and liked the fact that they had a great rating with the Better Business Bureau. When I called they were very courteous and answered all of my questions. My inspector was courteous and went the extra mile when helping with the proposal for my basement. When the installation crew led by Jonathan came in to do the work they were speedy and neat. It didn't even feel like they were there! I first heard about Quality 1st because one of my neighbors used them to fix some foundation issues in their basement. When I began to notice some cracks on my basement walls I knew it was time to call the professionals. When calling the office the staff was very professional. I set an appointment for a free estimate inspection. My salesman Kenny was excellent he answered all of my questions and was not too pushy. I experienced the best customer service with the installation crew led by Jonathan. They installed 9 wall anchors in just 2 days! In the end I chose Quality 1st for my structural repair issues because they had excellent reviews online and the quality of the work was great. Highly recommend Quality 1st Basement System. From the initial on line contact to the completion of the job - extremely pleased. Jeff Nero did a great job assessing our needs and explaining fully the process from start to finish. An existing crack in our foundation wall that had been there since the first day of our home ownership 26 years ago, is now stabilized. The initial work was completed within 5 hours and the permits and inspections were handled exclusively by Quality 1st Basement. The work men were respectful of our home, neat, efficient and meticulous of how are property was restored to the original condition. The prospect of rebuilding the basement wall in order to prepare our home for sale was frightening. We are now at ease about listing our home with the assurance that the foundation is stable - with a 25 year warranty! Give them a call...You won't be disappointed. The work was profesionally done, the crew was very courteous and on time. The cleanup was excellent. I chose Quality 1st Basement Systems because of their quality and good price. Meet Jonathan, our Senior Foundation and Waterproofing Foreman! He has been with Quality 1st Basements for over 8 years and has over 10 years of experience in the home improvement industry which made him a great asset to our Production Department. Jonathan is very knowledgeable when it comes to our Foundation repair and Waterproofing products and warranties. Wet Space to CleanSpace in this Crawl Space! Angie's List Super Service Award 2014 Winner! Quality 1st Basements installed Carbon Armor Wall Reinforcing System against the bowing foundation walls of this Woodbury, NJ home. CarbonArmor strips are made of fiber reinforced polymers that are 10 times stronger then steel! The straps area attached to the wall using high strength epoxy resin. They are secured to the wall with heavy duty sett brackets. not only with this system stabilize the wall but over time it can gradually bring the wall back towards its original state. CarbonArmor installs quickly and requires no exterior excavation and will not impact future basement finishing projects. Senior Design Specialists, Jeff Nero, met with a homeowner who was in need of serious foundation repair. The homeowner had bowing foundation walls which not only decrease the value of this home but also made it unstable and unsafe. Jeff designed a solution that would stabilize the foundation walls, protect the foundation against future damage and provide them with peace of mind. Jonathan and his team installed our PowerBrace Foundation Wall Repair System which consisted of 6 PowerBraces across the bowing foundation wall. A New Jersey couple was purchasing this Ewing house when their realtor noticed that there was a bowing wall in the cinderblock foundation. Quality 1st Basement Systems inspected the basement and noted two horizontal cracks that run about 10 to 14 feet across the basement. The installation team installed Wall Anchors to stabilize the wall and will straighten the wall over time so that it can return to its original position. The couple now has a safe and stable foundation! Quality 1st Basement Systems installed CarbonArmor foundation repair system in this Trenton, NJ home due to bowing basement walls. CarbonArmor is strong than concrete and ten times stronger than steel! It is specifically designed for basement walls. CarbonArmor will hug the basement walls preventing further bowing. This home's foundation will no longer move and stay safe for the owners. Check out the Window Well installation that was completed in Robbinsville, NJ! Browns Mills homeowner noticed a few horizontal and vertical cracks in his cinder block foundation. Quality 1st Basement Systems used the CarbonArmor foundation repair system to stabilize the walls. CarbonArmor is ten times stronger than steel and specifically designed to repair bowing foundation walls or foundation cracks. This homeowner's basement walls are now stabilized keeping his home safe! A homeowner in Browns Mills needed to take action when he noticed the basement walls were cracked and bowing. He called Quality 1st Basement Systems, and the team confirmed these early signs of wall failure. Luckily, they were able to install the Carbon Armor System, which reinforces and stabilizes walls with a fiber-reinforced polymer that is 10x stronger than steel. The Armor Lock System was combined to link the Carbon Armor to the rim joist framing, which helps to prevent and correct bowing. These systems are the perfect duo to restore walls to their original positions! Damp and humid crawl space in Tuckerton home was causing humidity issues in the other levels of the home. Water vapor from the crawl space flows upward into the home and can cause dust mites, sticking doors and windows, increase utility bills, and mold. This homeowner wanted to make his home more efficient and healthier for his family with allergies. The CleanSpace encapsulation stops water vapor from entering the crawl space and entering the rest of the home. A homeowner in Tuckerton, NJ needed a waterproof crawl space entrance so Quality 1st Basement Systems installed a Turtl entry well. A Homeowner was experiencing high humidity and moisture in the crawl space of their home located in Hopewell, NJ. They had thought about encapsulating their crawl space but over time forgot leaving it unfixed. Over the summer at the Balloon Festival, the homeowner came across the Quality 1st Basements tent and decided to sign up for a free estimate. The following week, the System Design Specialists was out to their home to do a full inspection and design a solution. Quality 1st Basements was able to completely waterproofing the entire crawl space preventing water from ever entering again. Now that they have a CleanSpace Vapor Barrier on the walls and floor of their crawl space, they no longer have to worry about water intrusion or moisture. A homeowner in Flemington, New Jersey had floors directly above their crawl space that were sagging and needed support. The homeowners contacted Quality 1st for a solution. Our System Design Specialist inspected the crawl space and suggested that SmartJacks be installed to provide support and a permanent solution and the system can be easily adjusted at any time if the home requires it. Princeton homeowner noticed that his crawl space access door seemed loose. The access door was made of wood which can warp or rot. Quality 1st Basement Systems installed an EverLast crawl space door which is made completely of plastic, meaning that it will not rot, warp, be eaten by bugs, or need to be painted. With the crawl space encapsulation and the EverLast door, this homeowner no longer has any crawl space worries! There was evidence of water damage on the basement walls. The inspector at Quality 1st Basement Systems had the waterproofing solutions for this wet basement. The installation crew set up a SuperSump sump pump system, which is designed to keep water flowing out and away from the basement. After this homeowner contacted Quality 1st Basements regarding water in their basement, our System Design Specialist, Tom Carrano, headed out to inspect the space. The old sump pump and french drain system had failed, so Tom proposed the installation of WaterGuard and our TripleSafe Sump Pump System. Following the initial appointment, our team went out to install the system. Jonathan and his team arrived on time, introduced themselves, did a full walk through with the homeowner to explain the installation process and what would be performed. Jonathan and his team installed a Full perimeter Waterproofing System to keep this basement dry during any rain. With this home now protected by Quality 1st Basements, against water, the homeowner can have peace of mind. A homeowner in Imlaystown, NJ had a pool in front of their crawl space entrance, which was bringing water in through the door, making the crawl space wet. Quality 1st Basement Systems installed a Turtl covered crawl space entrance. The Turtl door is airtight, lockable, and will never rot or rust. Quality 1st Basement Systems fixed the stair-step cracks in this Lakehurst, NJ foundation with wall anchors. The wall anchor system will prevent the foundation wall from cracking or bowing forward. Moisture in this crawl space was affecting the floors on the first level of the home and so this High Bridge, NJ homeowner contacted Quality 1st Basement Systems. Upon inspection, System Design Specialist, Bob Peters noticed moisture and high humidity. The crawl space had a dirt floor with a black plastic cover over it that did nothing for the moisture concern. Bob recommended CleanSpace Vapor Barrier System which prevents the water vapor and moisture from coming through the foundation walls. CleanSpace will seal off the crawl space from water, humidity and rotting that may cause damage to the crawl space or the foundation of the home. A homeowner in Rocky Hill, NJ had bowing basement walls. Quality 1st Basement Systems stabilized the foundation with CarbonArmor wall strips. Manahawkin, NJ homeowner had foundation damage after Hurricane Sandy.The foundation had vertical and staircase cracks inside the foundation of the crawl space. System Design Specialist, Mike Jersey, upon inspection found sagging beams inside the crawl space and foundation settlement as well. SmartJacks were installed inside the crawl space to stabilize the sagging beams and the floor above it. The SmartJacks allow gradual lift of the beams and floor, bringing it back to its original level. The Homeowner was very happy with the SmartJacks and the fact that they addressed the soul issue of the problem. The homeowner made a follow up appointment for Crawl Space Encapsulation as well. Quality 1st Basement Systems replaced an existing broken sump pump with a TripleSafe Sump pump to properly pump water out of the basement. Now this basement will stay healthy and dry any time it rains. Hillsborough homeowner had water coming into her basement through the basement window. Quality 1st Basement Systems installed the SunHouse Basement Window Enclosure which keeps water out of the basement, has a clean and neat look, and brightens up this basement! Quality 1st Basement Systems replaced this Ocean county crawl space door with an EverLast crawl space door. 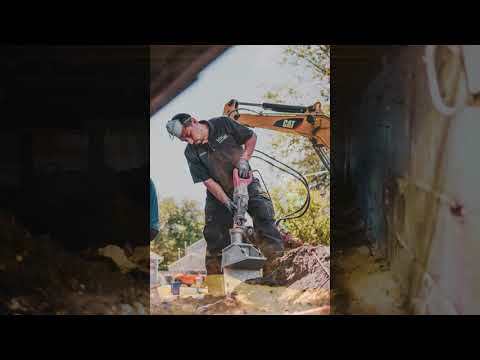 The EverLast crawl space door is waterproof and will never rust or rot. After heavy downpours of rain, water would come up through the floor of this basement in Forked River, NJ. Large puddles would form, causing the basement to become cold, damp and musty. Quality 1st Basement Systems fully waterproofed the basement, keeping it dry and healthy! The foundation in this Millstone home had multiple cracks in it which were signs that the foundation was failing. Quality 1st Basement Systems repaired the foundation using Wall Anchors. Wall Anchors stabilize the foundation by connecting the wall plate to an anchor which is installed deep into the earth. This home is now safe and stabilized. A homeowner in Millstone, New Jersey had stair step cracks on the inside wall of their basement and contacted Quality 1st for a solution. Our System Design Specialist inspected the basement and recommended that Push Piers be installed. Push Piers are installed next to the footings and attached with a heavy duty steel bracket. Soil is backfilled around the piers once stabilization and lifting is complete to finish the installation. Push Piers provide a permanent solution for foundation stabilization. Quality 1st Basement Systems replaced an old leaky window with a waterproof basement window that will never rust or rot. This Ocean County, NJ basement is dry and safe. When this Jackson, NJ homeowner was told their foundation was settling, they called Quality 1st Basement Systems. The crew installed wall anchors in the basement to prevent wall cracks and further settling. This homeowner in Franklin Park, NJ needed a sump pump that would be reliable and keep their basement dry. Quality 1st Basement Systems installed a SuperSump sump pump, which has an airtight lid to keep out odors and debris. A Olin, NJ homeowner contacted Quality 1st Basements when they noticed water entering their basement every time it rained and their backyard flooded. We sent System Design Specialist, Javier, out to inspect teh basement and design a solution. Noticing how large the basement was, Javier recommended our TripleSafe Sump Pump to provide the ultimate protection against the water coming in. The Triple Safe sump pump provides three level of protection for your basement and your peace of mind. The waterguard French drain system allows the flooded water to drain it into the sump pump. After the install was made, the homeowner was pleased to say that our Foreman Jonathan and his team left the entire basement cleaner than it was before they began. 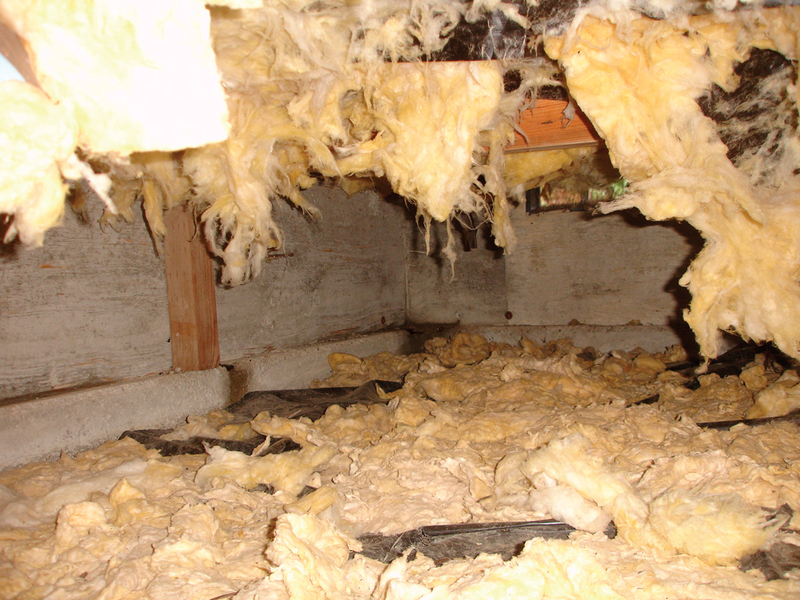 Keep your floors warm by insulating your crawl space!